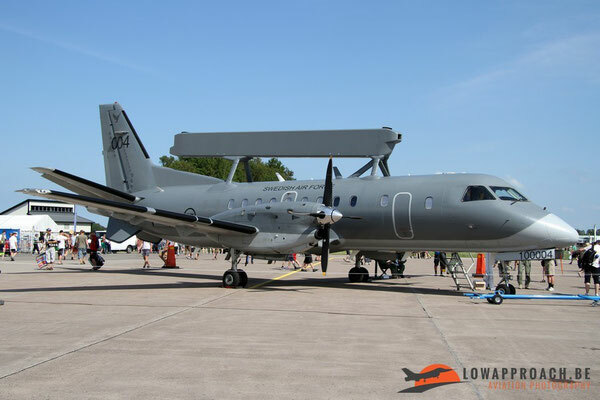 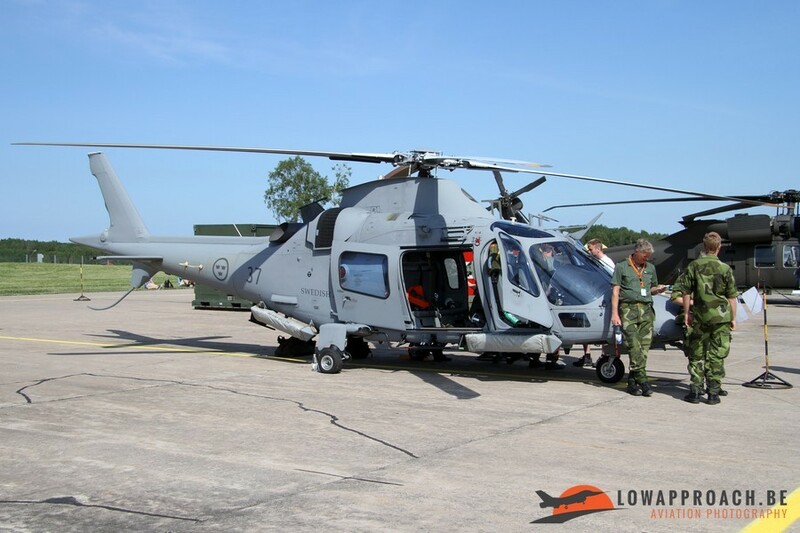 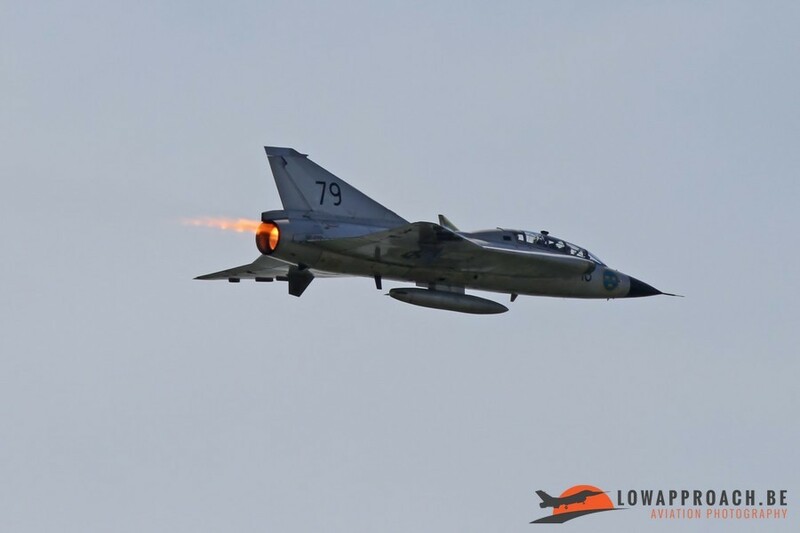 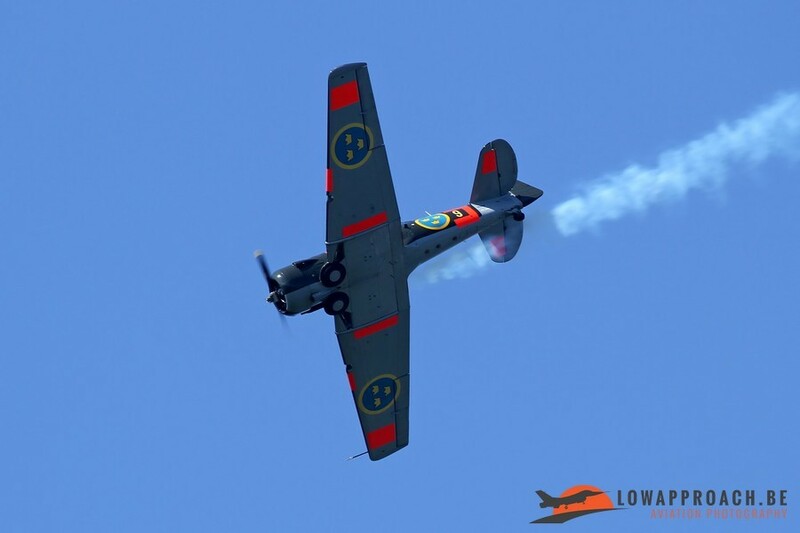 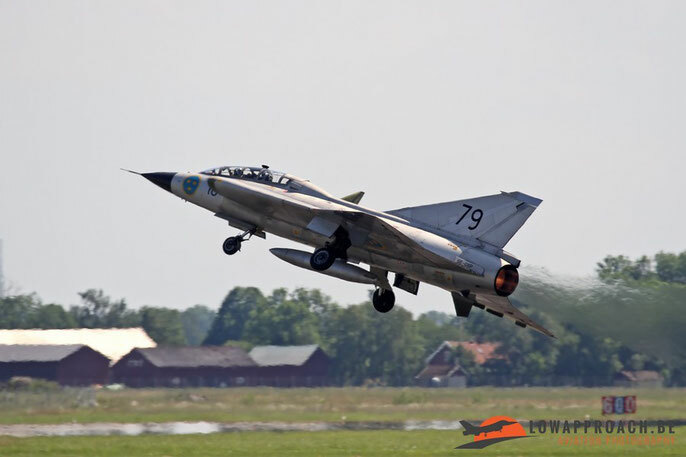 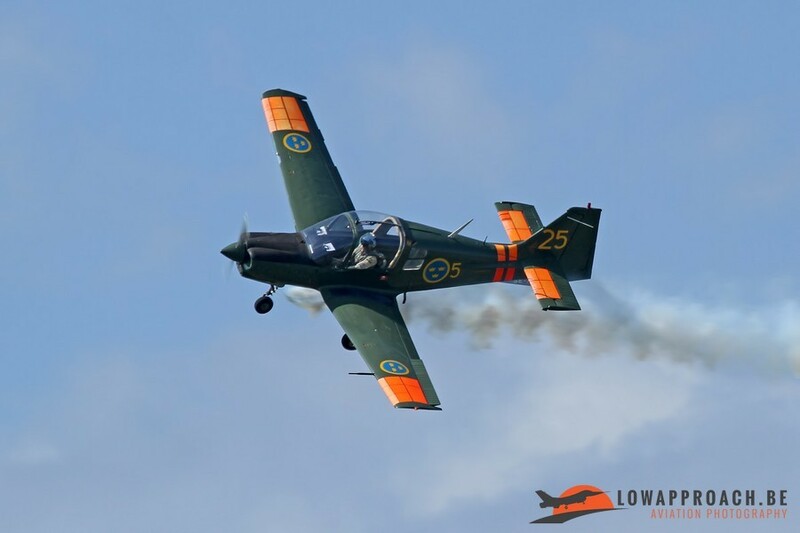 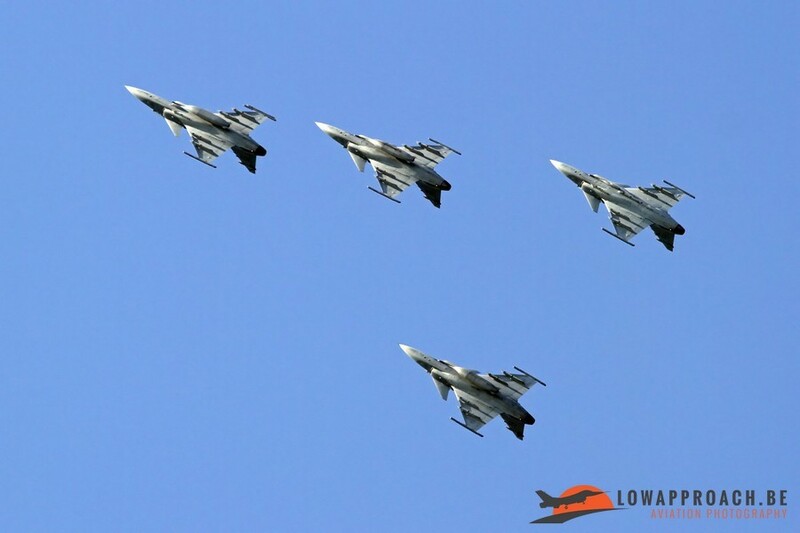 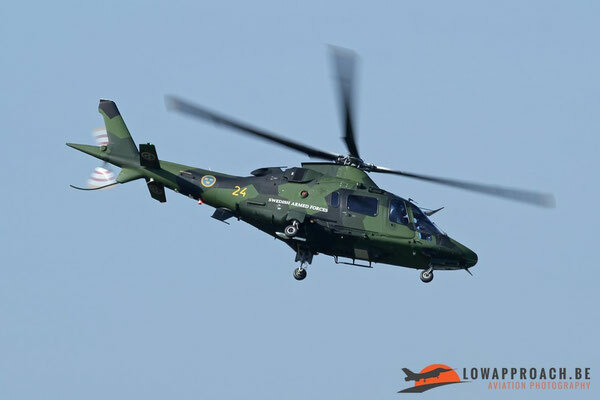 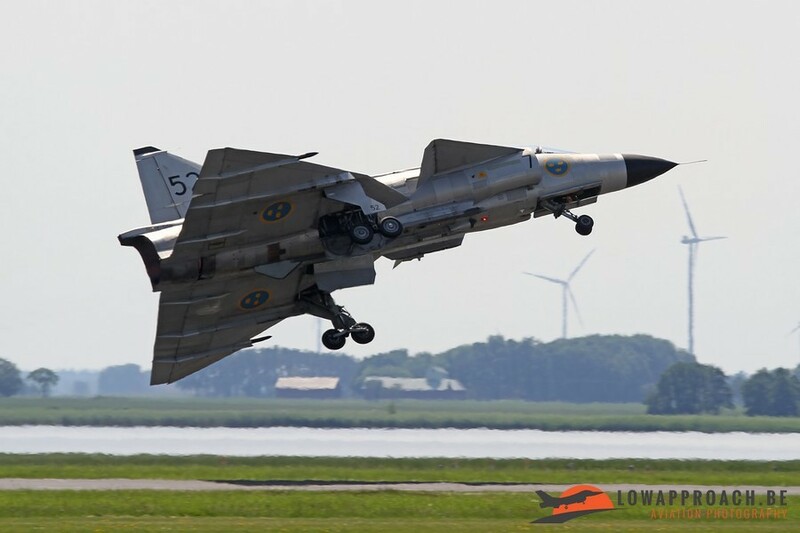 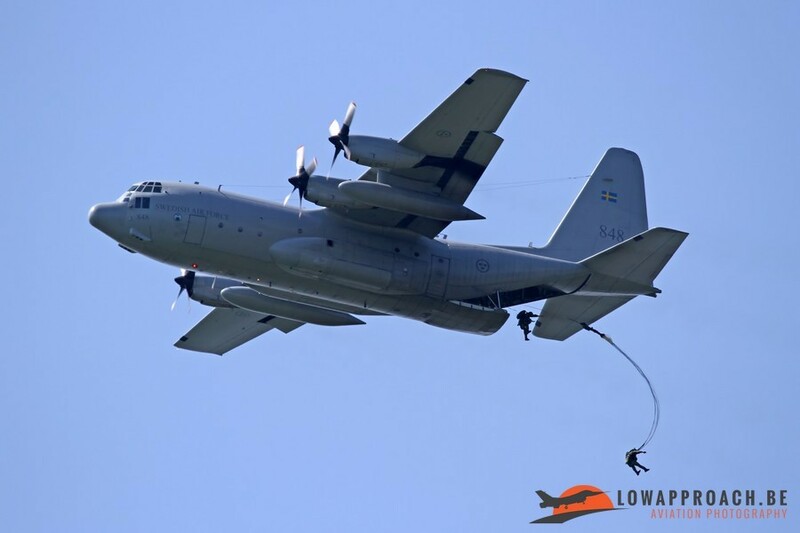 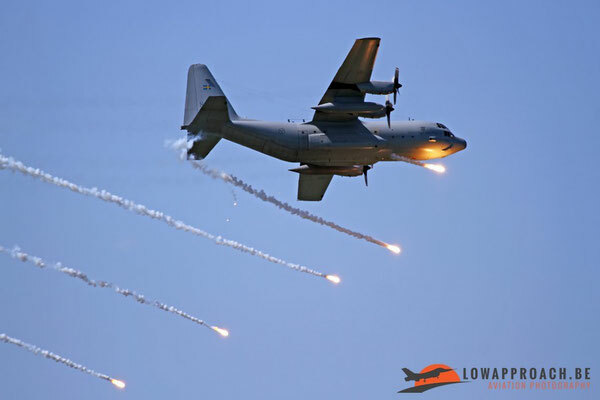 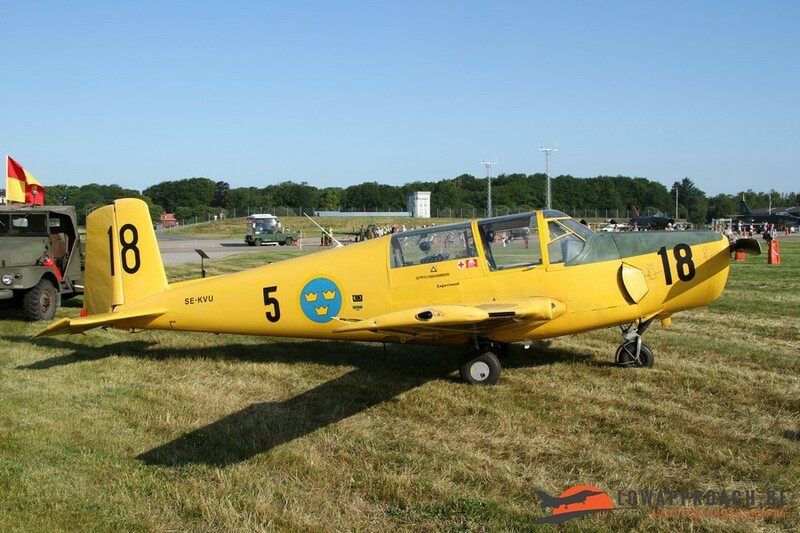 In the first weekend of July the Svenska Flygvapnet, or Swedish Air Force, organized their annual airshow at Såtenäs. This airbase is located about 100 km North of Göteborg and houses two flying units: the F7 Skaraborgs Flygflottilj equipped with the Saab JAS39C/D Gripen and the Transport- och Specialflygenheten (TSFE), or Air Transport Division, equipped with the Lockheed C130 Hercules. 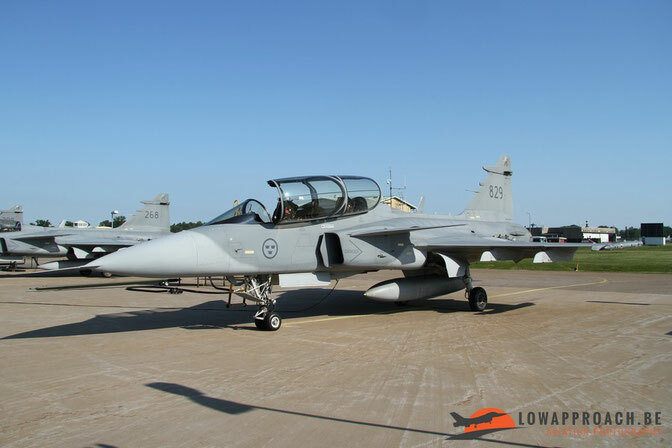 F7 Flygflottilj is composed of 2 Divisions, Number 1 which is an operational unit and Number 2 which acts as the Operational Conversion Unit for all future Gripen pilots. 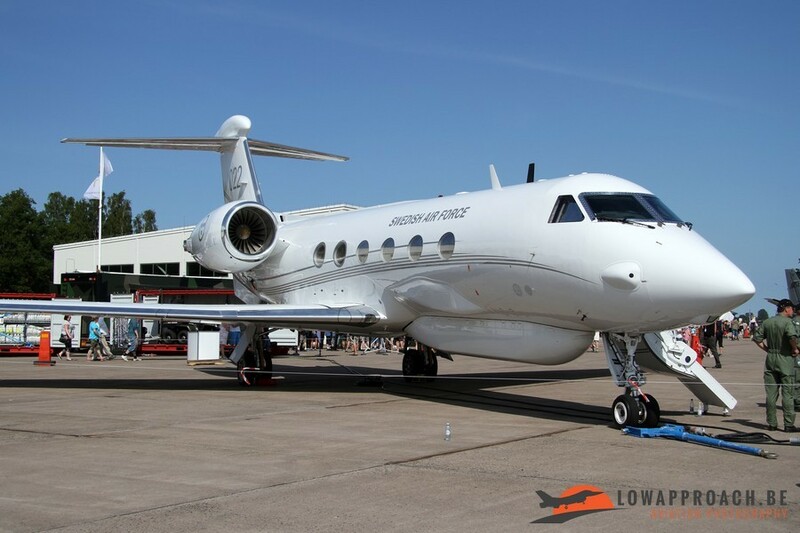 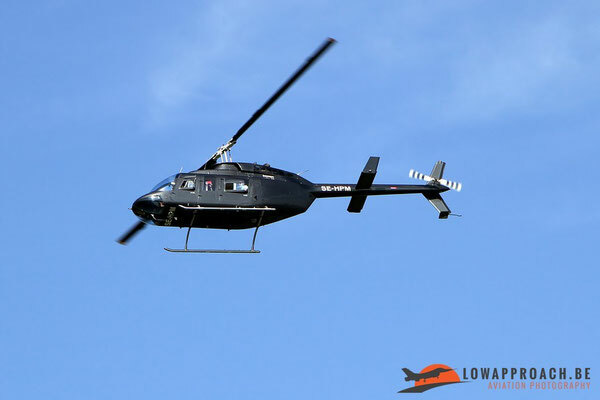 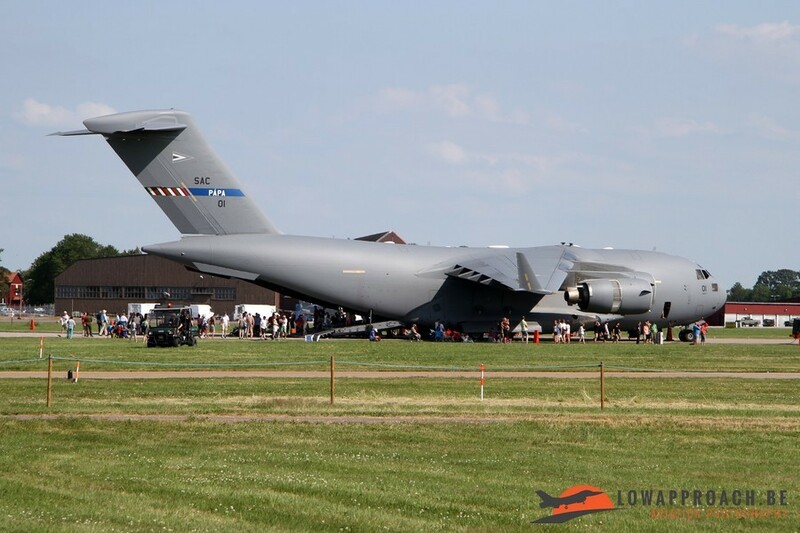 The Airshow was a one day event on Saturday, but there was the possibility to pre-register for a spotters event, which was free of charge. We were expected to be at the main gate at 7.30 in the morning. After an identity check we were all given our spotters passes and a quick briefing was given on what we could expect. Weather conditions were great, so no worries about that, we had blue skies all day. 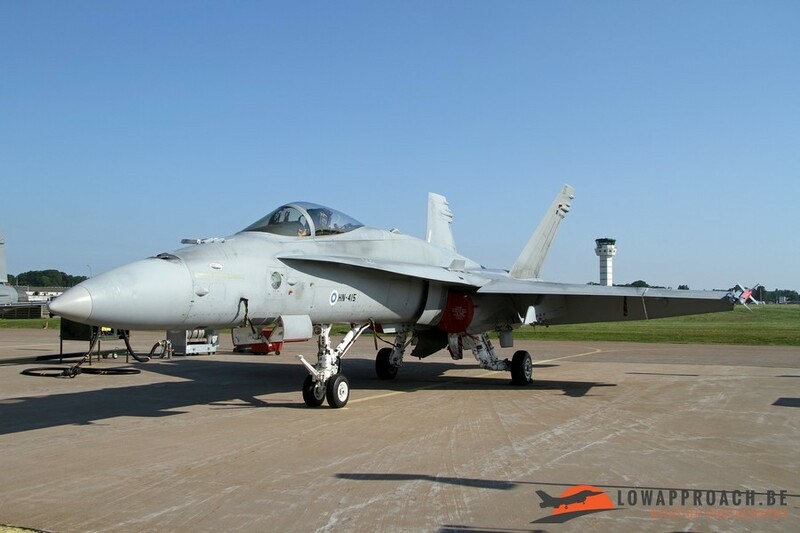 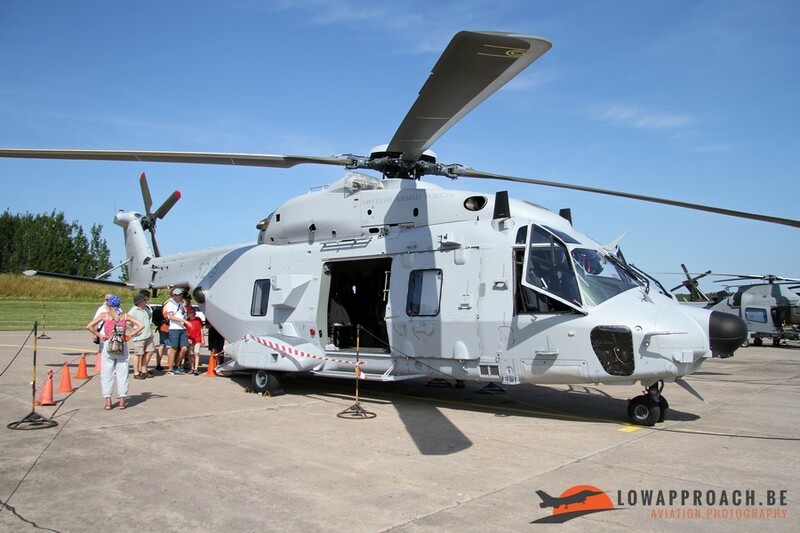 To start the day we were given the opportunity to photograph part of the static display before the large crowds got in. 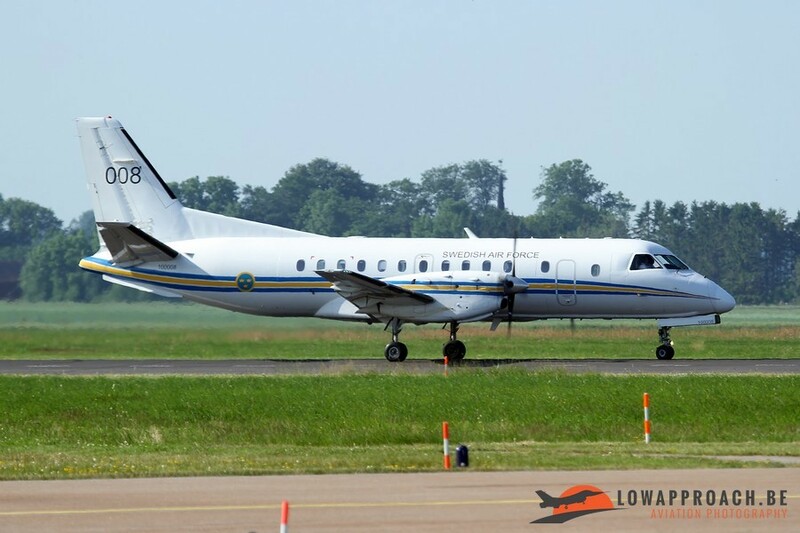 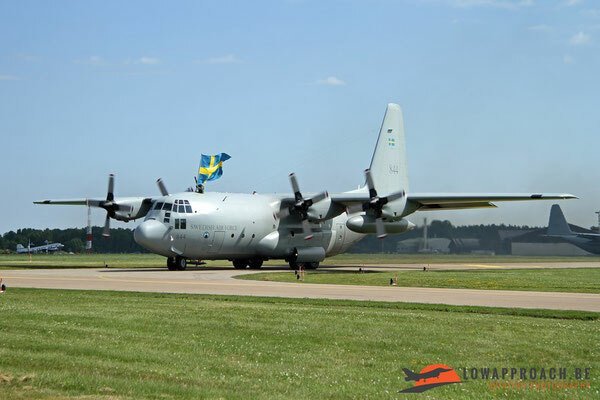 The static was not that huge, only Swedish aircraft and a couple of visiting C130s from Denmark and Norway. 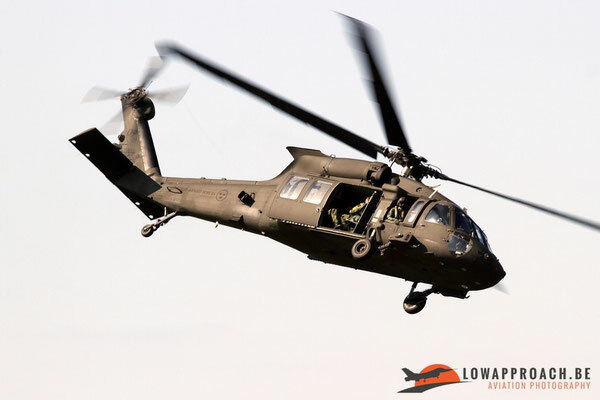 Part of the static was in the fact the flightline of historic aircraft, which could be photographed in ideal circumstances. Second part of the spotter package was a visit to the operational flightlines were we could see and off photograph a long row of Gripens and the only non-Swedish participants to the flying display, a Finnish Hornet and a Czech L159 ALCA, which in fact was the replacement of the Czech Gripen display, who had cancelled a few days before. 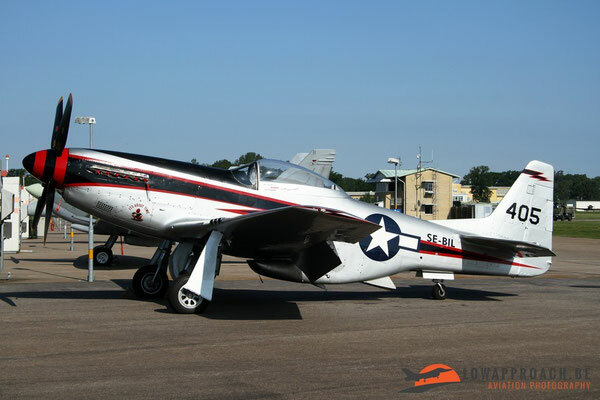 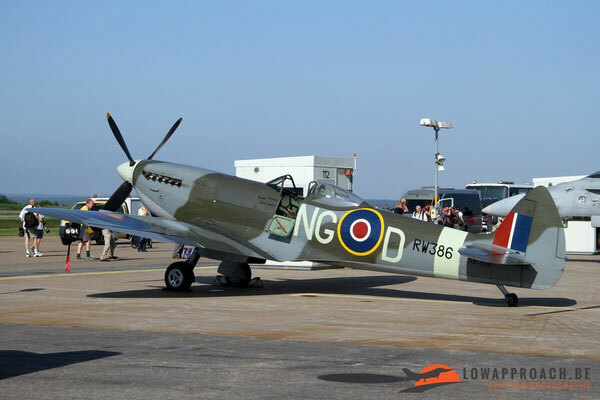 Other nice surprised on the flightline were a Swedish registered North American P51 Mustang and Supermarine Spitfire Mk.XVI. After the flightline we were driven to our dedicated area next to the crowdline for the rest of the day. 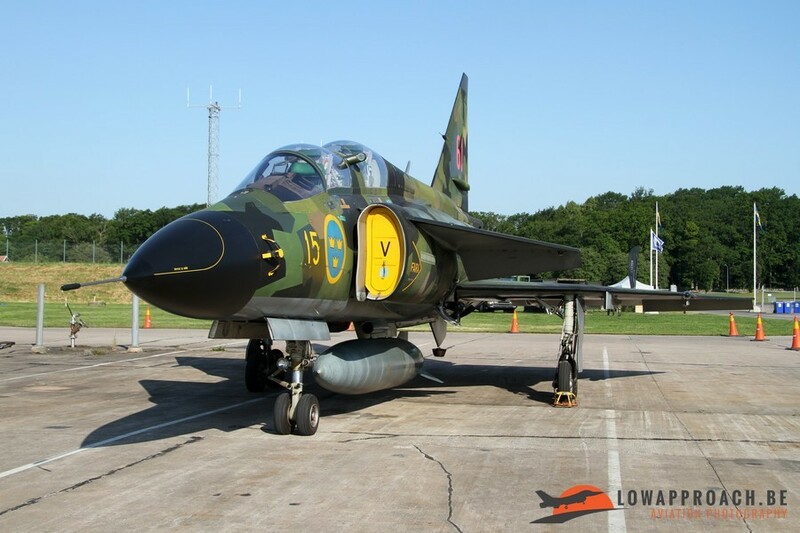 The Swedish Air Force was very generous with their facilities as this area contained a tent to take shelter in case of rain (we only had to use to get out of the burning sun, as it was extremely hot on the day), a large stand with seating and they even provided large quantities of cold drinking water….. all free of charge! 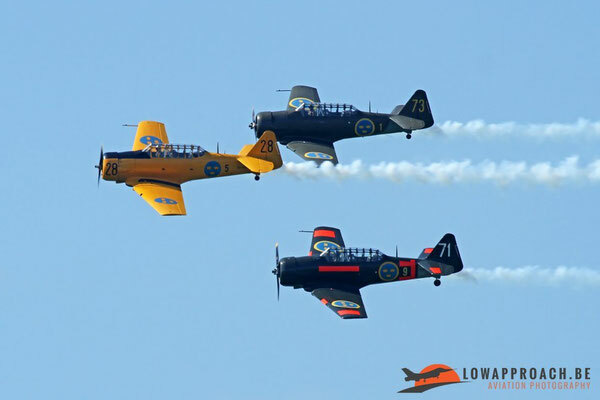 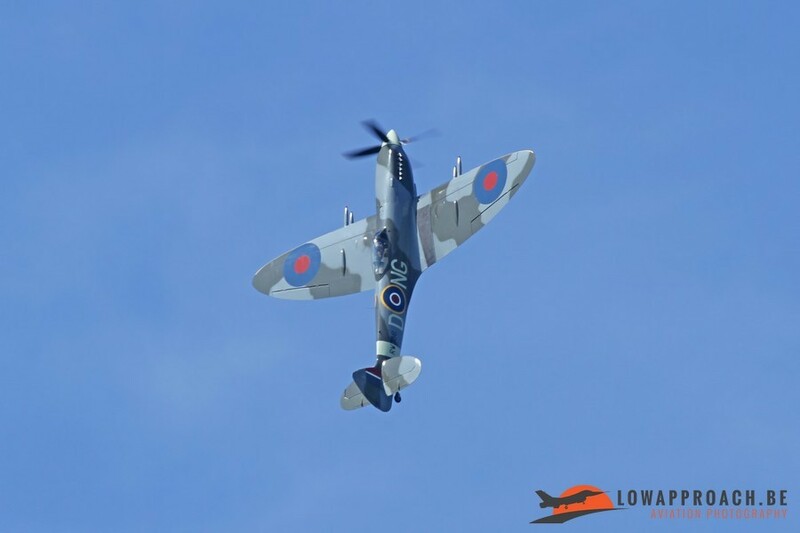 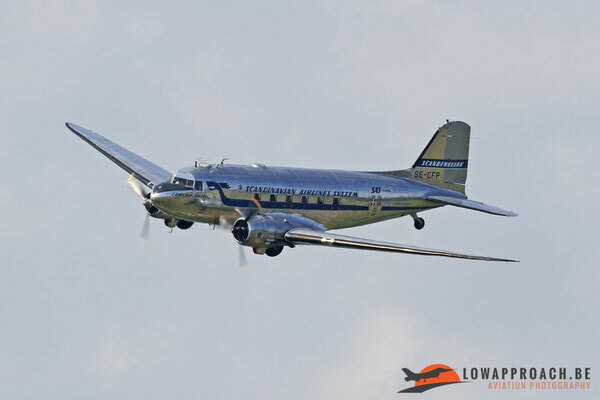 The flying program was not too extensive and the first morning part was repeated in the second half of the afternoon. 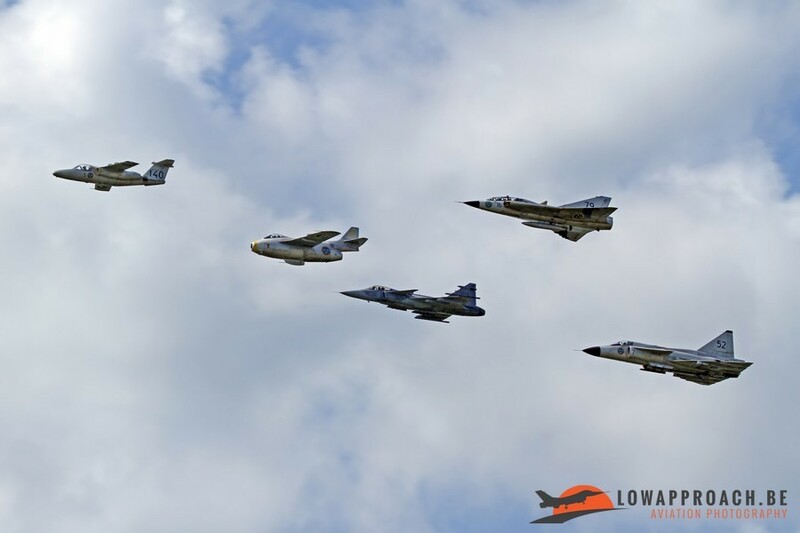 In between a number of historic displays were presented to the crowd, which honestly was not that huge. Apart from the already mentioned Finnish Hornet and Czech L159 the displays were 100% Swedish and contained a very nice mix of old and new. The Swedish Air Force is very proud about its history, which is illustrated by its support to the Swedish Historic Flight, that operates a large collection of historic Swedish aircraft, like De Havilland Vampire, Hawker Hunter, Saab B17, Saab Draken, Saab Tunnan, Saab Lansen and off course the formidable Saab Viggen. 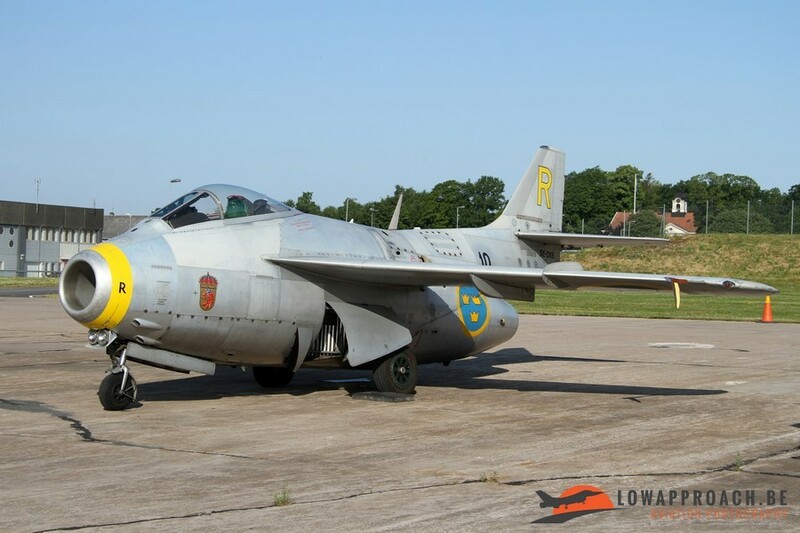 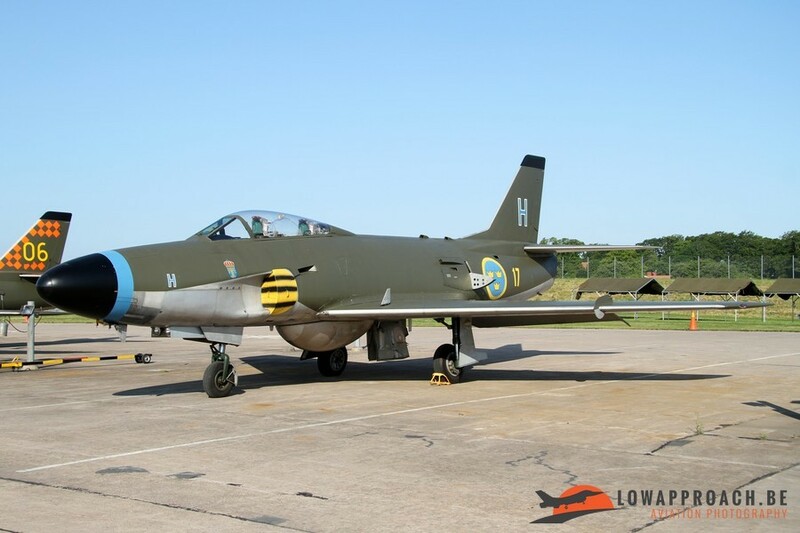 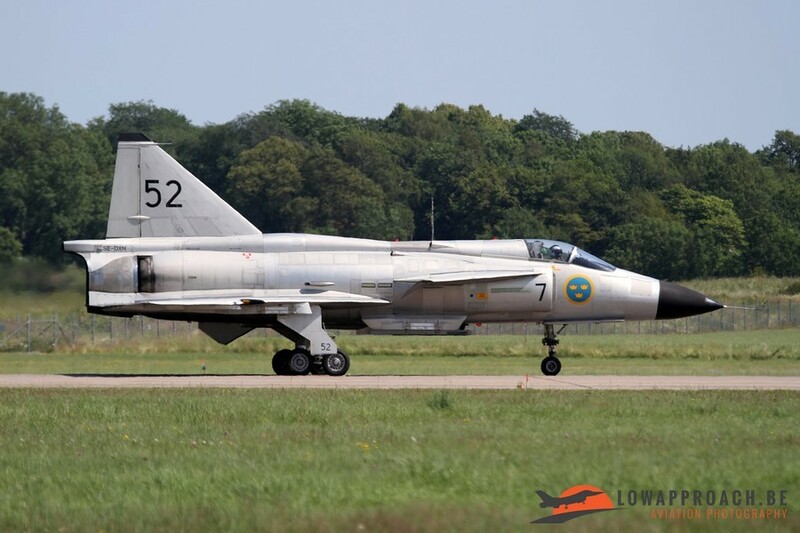 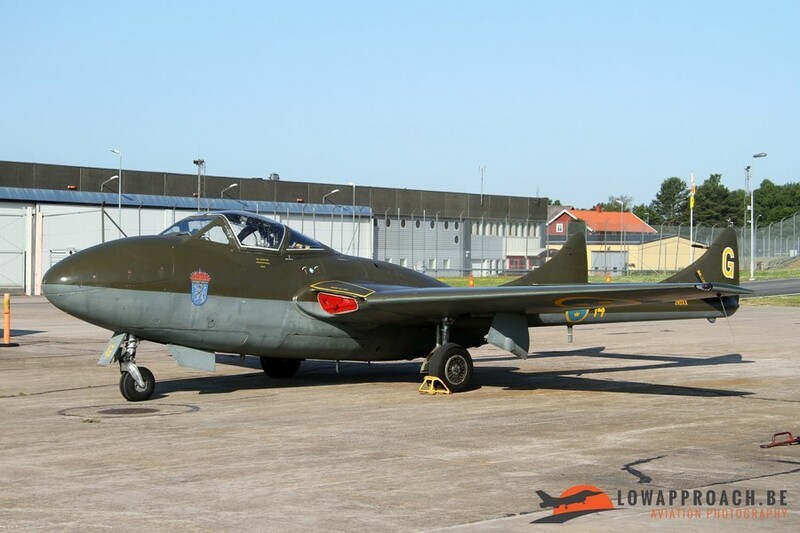 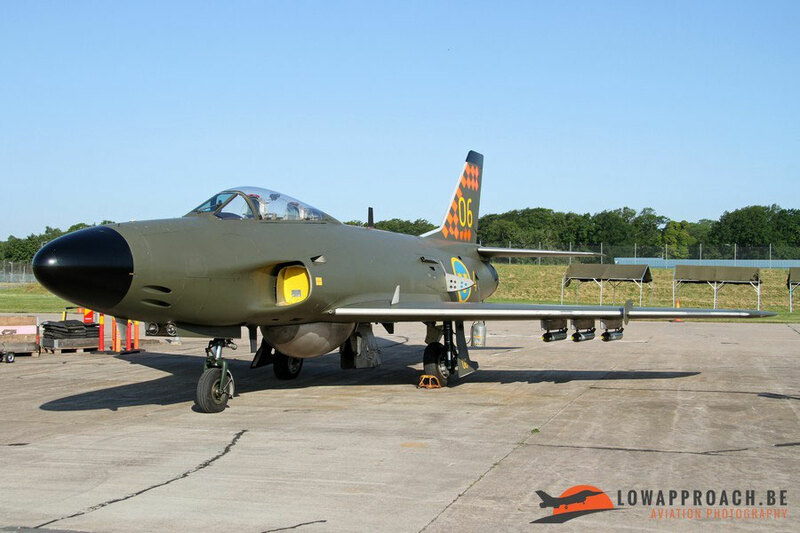 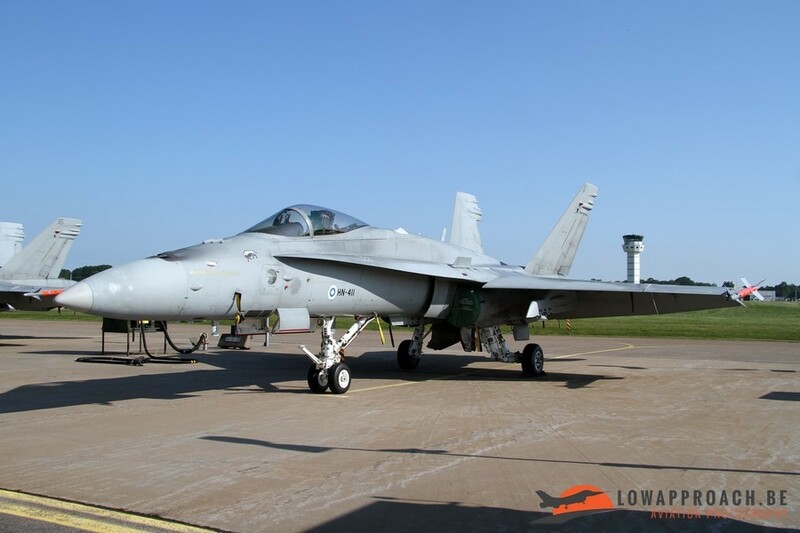 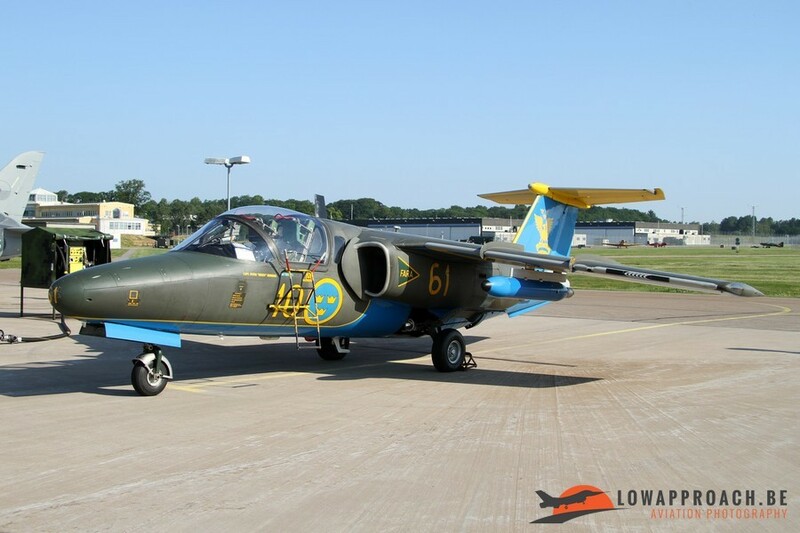 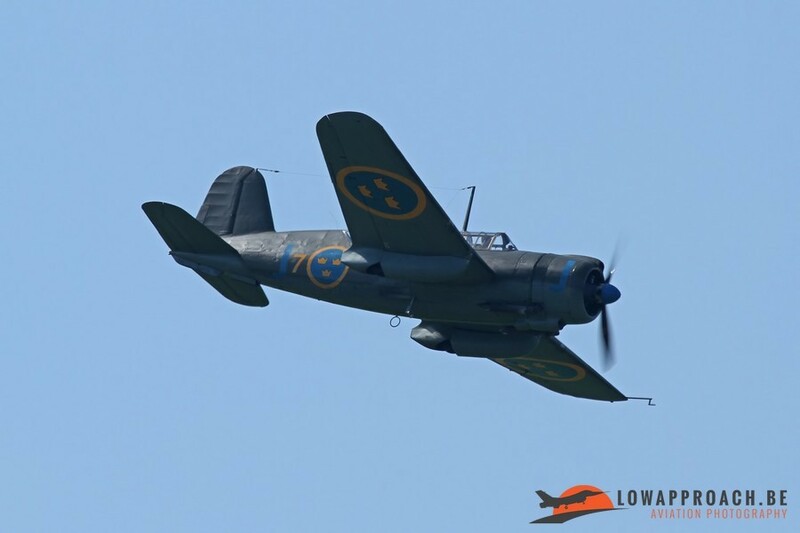 This in combination with some smaller organizations or private collectors who operate other former Swedish Air Force aircraft enables them to present a fairly complete overview of their history to the spectators. 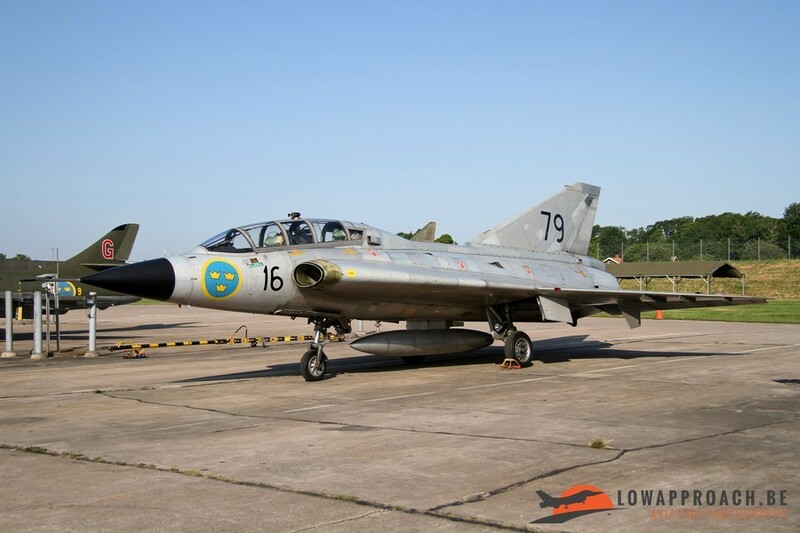 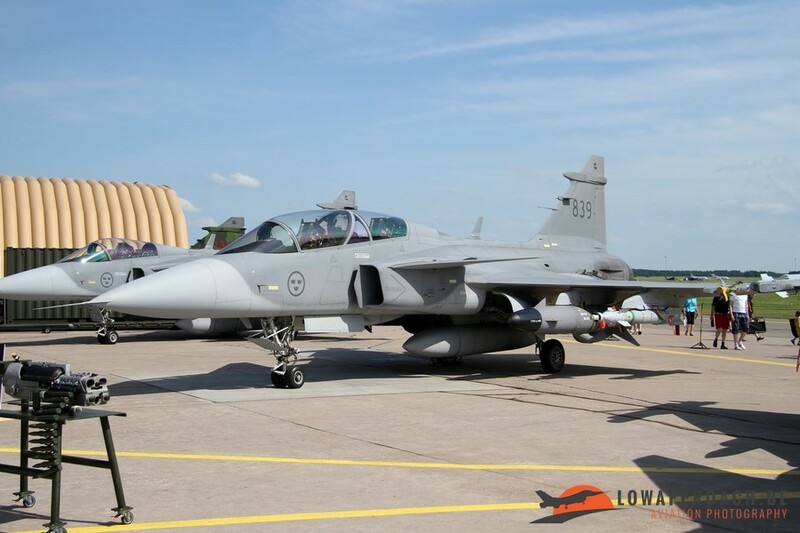 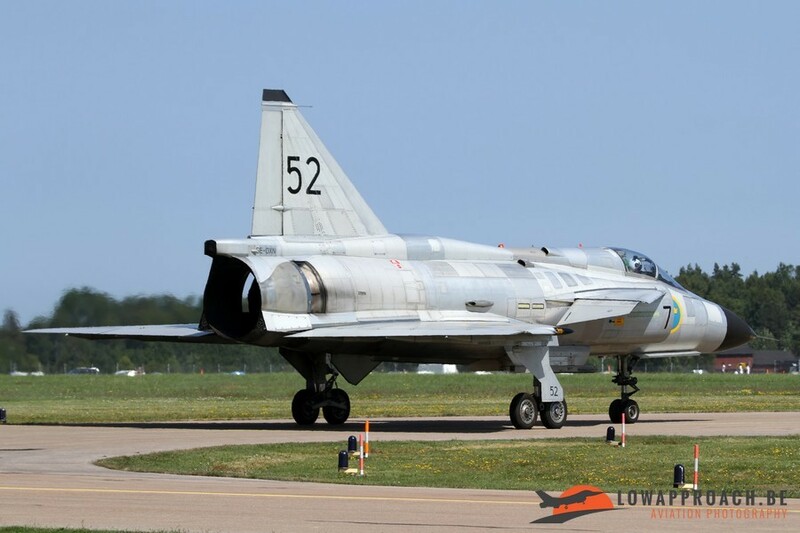 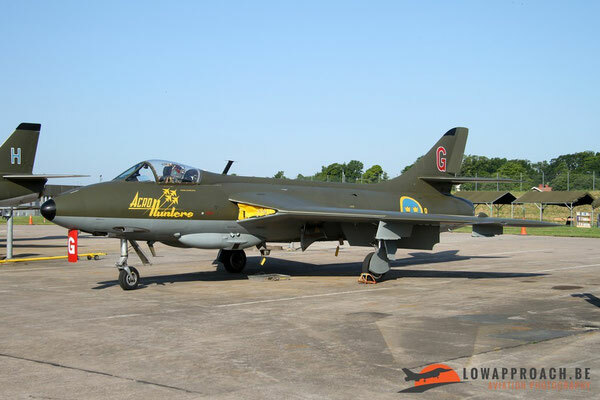 The ‘modern’ Swedish Air Force presented displays with virtually all operational aircraft they have in their arsenal. 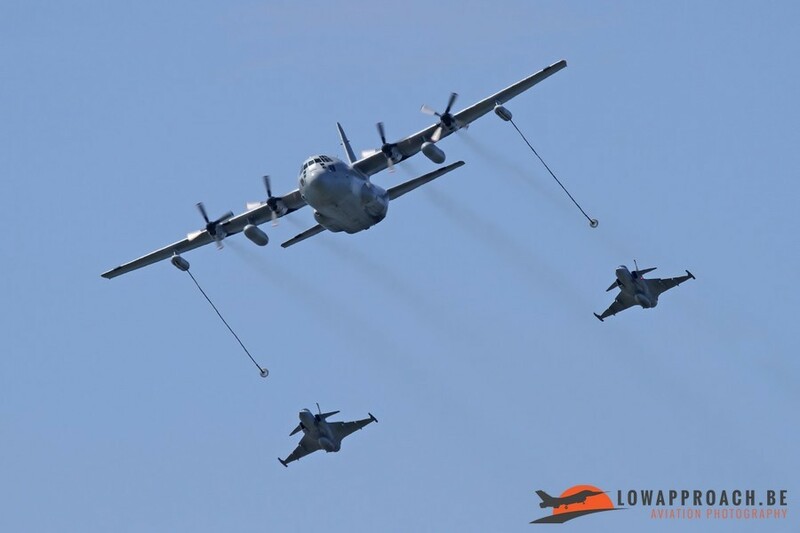 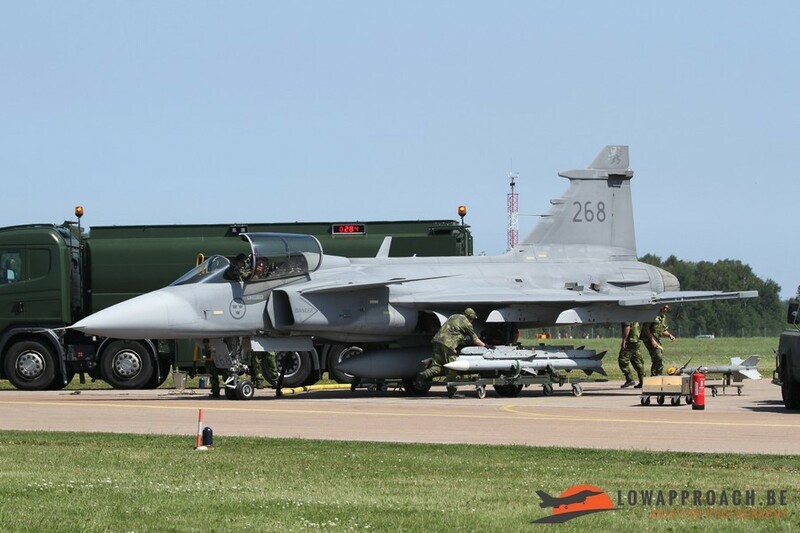 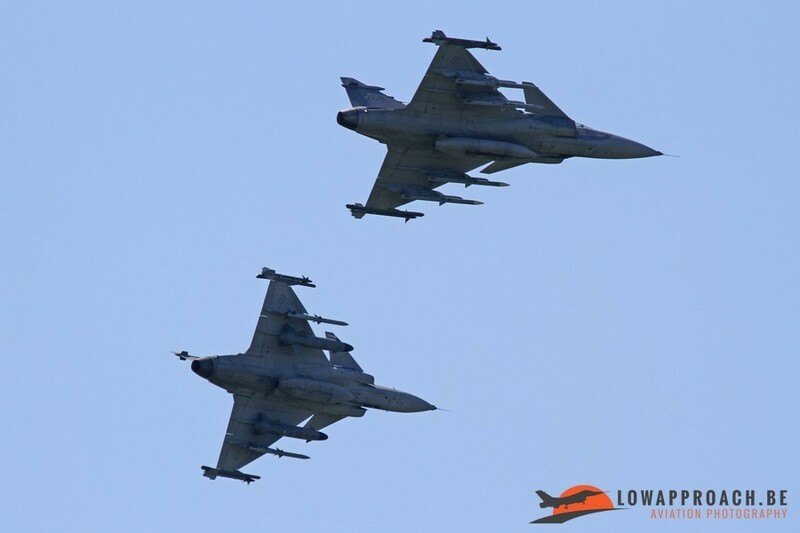 The local F7 Wing presented some precision formation flying with four Gripens and the TSFE demonstrated the capabilities of their C130 Hercules, including hot refueling and arming demo on a Gripen, Air Power Display, Cargo drops, etc. 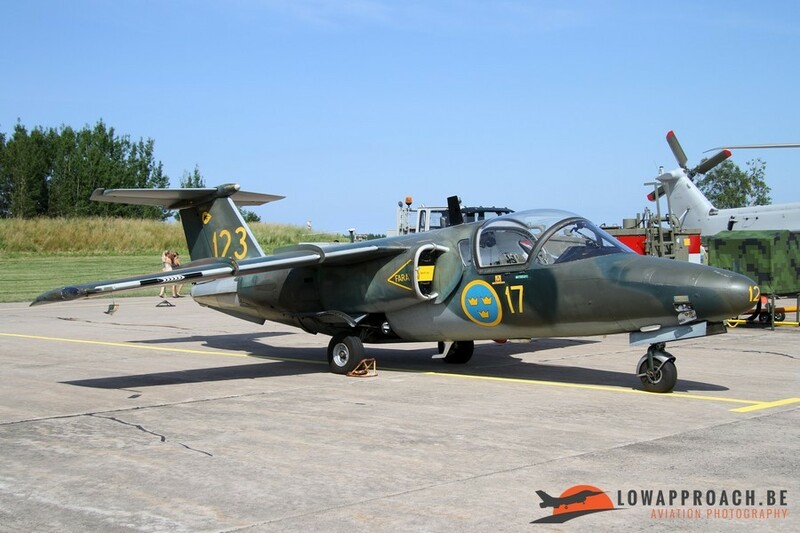 In the hangars additional ground displays could be visited on many aspect of the Flygvapnet, this all happened in a very amicable and relaxed atmosphere, and luckily for me, almost everybody speaks perfect English, so no issues at all on this. 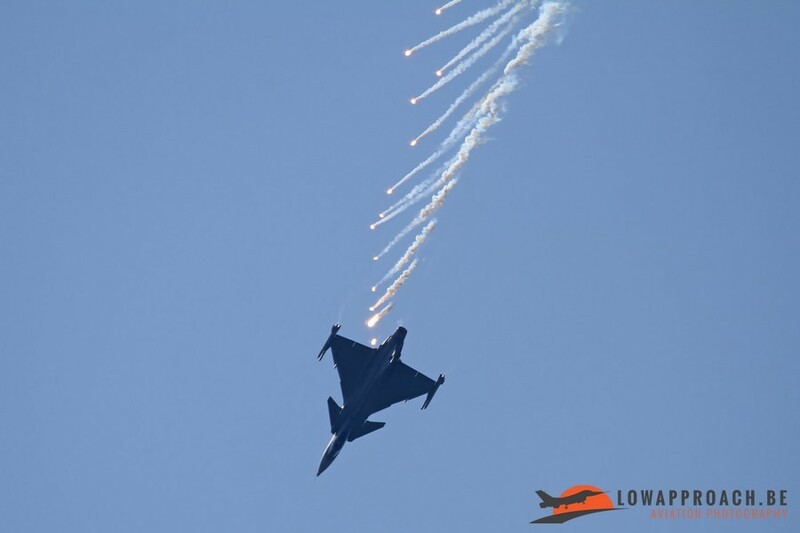 Photographing the aerial displays was not so easy as you have opposing sun the whole day and the distance between the crowdline and the runway was a bit too far and the extreme heat created quite some heatwaves, but as always, it is what it is and some things you have take as they come, but overall it was a very nice event and I’m very happened that I made trip up north !